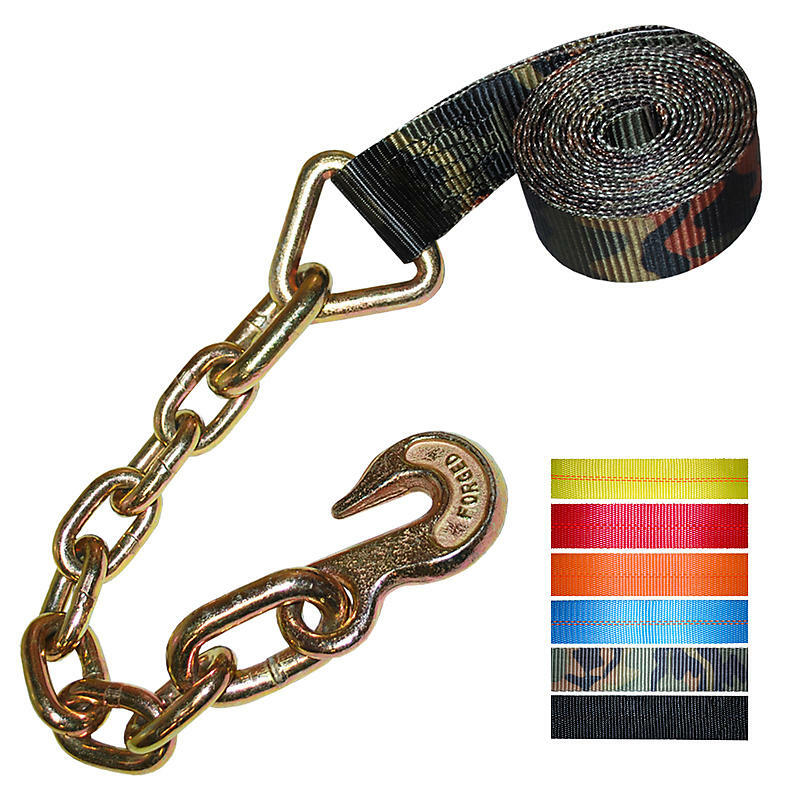 These winch straps with Chain and 3/8” Clevis Grab Hook are great for use in the flatbed trucking industry and for other uses. These straps can be used with a 2” Ratchet. These winch straps are custom made. You can choose the webbing color and length. Don’t see the length you need? Interested in RED webbing? Call us at 800-444-0956!